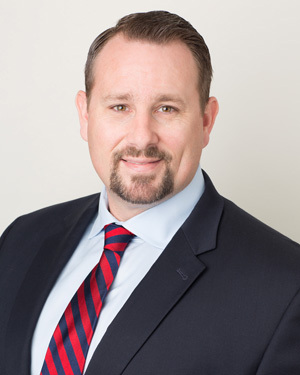 Justin Buffington is a partner specializing in the firm’s Legal Defense of Peace Officers Practice Group and also works with the Litigation and Criminal Defense Practice Groups. Justin represents peace officers in administrative investigations and disciplinary matters. Justin has earned a reputation as an aggressive advocate for the firm’s clients and has secured a number of memorable victories. Notably, Justin successfully arbitrated a high profile termination case involving the fatal shooting of an unarmed suspect by an Oakland police officer, who was ultimately reinstated with full back-pay and benefits. He and Doug Foley were also successful in winning back the stripes of a demoted Oakland sergeant who was accused of neglect of duty and failure to supervise. Justin successfully overturned the demotion and 30-day suspension of a BART police sergeant accused of improper Taser use. Most recently, Justin earned a remarkable victory that garnered extensive media coverage, returning a highly respected and decorated Oakland Police officer and military veteran back to work with full back-pay and benefits after he was terminated as a result of a use of force involving Occupy Oakland protester Scott Olsen. In that case, the officer went back to work in record time, waiting less than a year for the case to come to fruition. Prior to joining Rains Lucia Stern St. Phalle & Silver, Justin worked as a Deputy District Attorney in Contra Costa County where he tried nearly a dozen misdemeanor cases and litigated scores of motions. He also worked at a civil litigation firm. Justin graduated from Humboldt State, where he played football. He earned his law degree at Golden Gate University. Justin is a member of the adjunct faculty of Napa Valley College, where he teaches criminal procedure. He is certified by the Force Science Institute as a Force Science Analyst and also is a member of the Association for Conflict Resolution and the California Teachers’ Association. He is licensed to practice in California and the U.S. District Court for the Northern and Central Districts of California.